My most recent yarnbombing in Mount Holly, NJ adorns a public telephone pole. 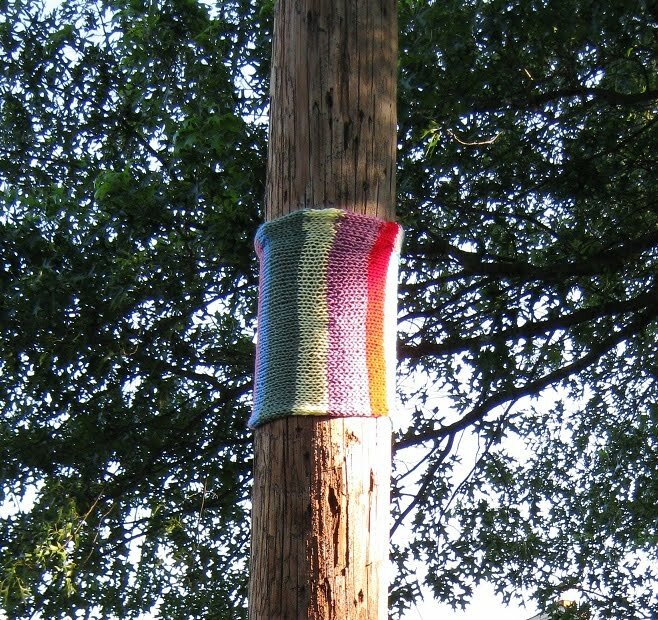 My hope is to bring some color and happiness to the local passersby. This is awesome. You've brought some color and happiness to me! 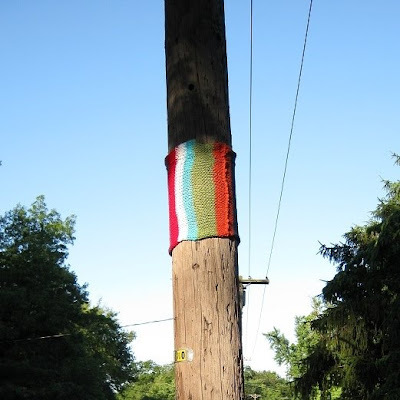 That telephone pole looked cold too btw. Thank you so much! It was fun to do and I'm planning another soon. Yesterdaydream was started in 2009. Our private studio is based in Seattle, Washington. We prefer working with mixed media, paint, clay, pen, pencil, paper, photography, wood burning, yarn, fiber and using many different upcycled materials. Whenever possible, we source our fiber and materials locally. We like to make old things new again and find ourselves drawn to things from long ago. Some things we create now reflect the qualities of those things with a modern touch. We take pride in the quality and originality or our craftsmanship and our shop reflects the output of our little studio. We are completely self-taught and find our inspiration from life: family, friends, music and whimsy.